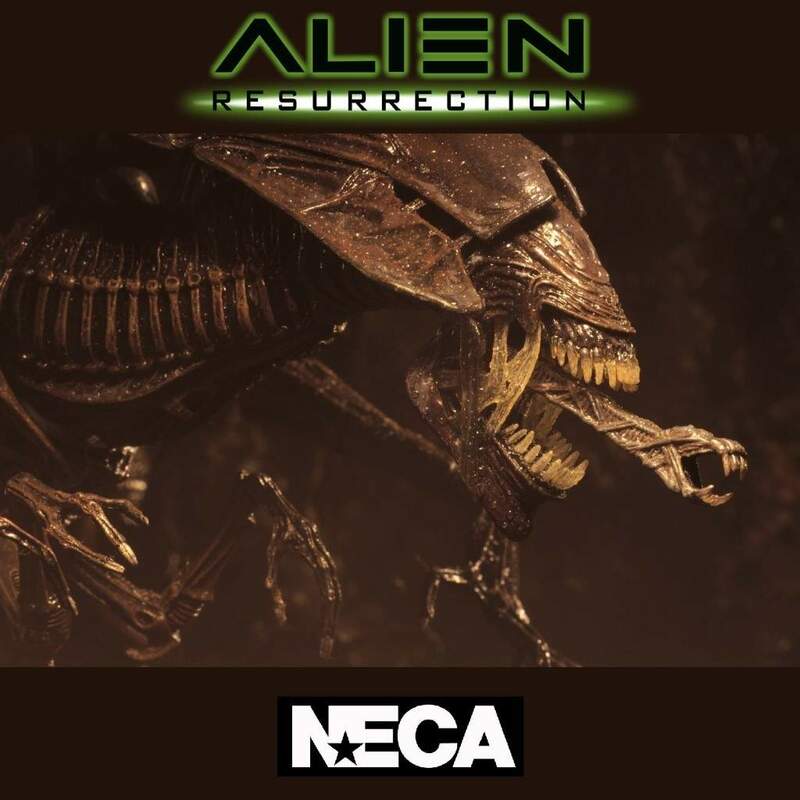 From the NECA range of Aliens figures, we introduce the Queen from Alien Resurrection, the fourth movie from the Aliens franchise. 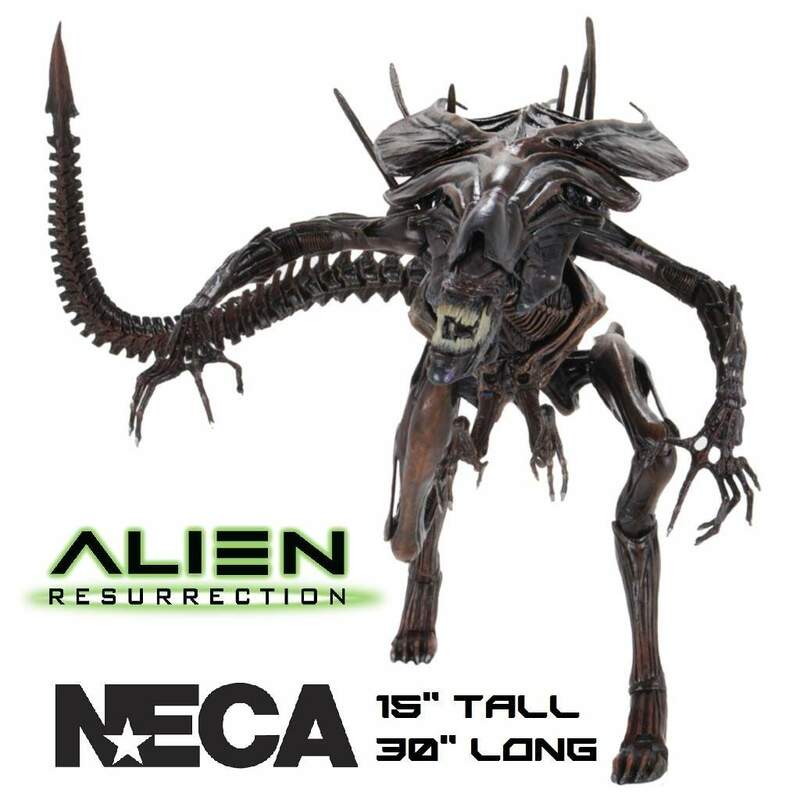 NECA introduces a new royal member to the Aliens action figure family! 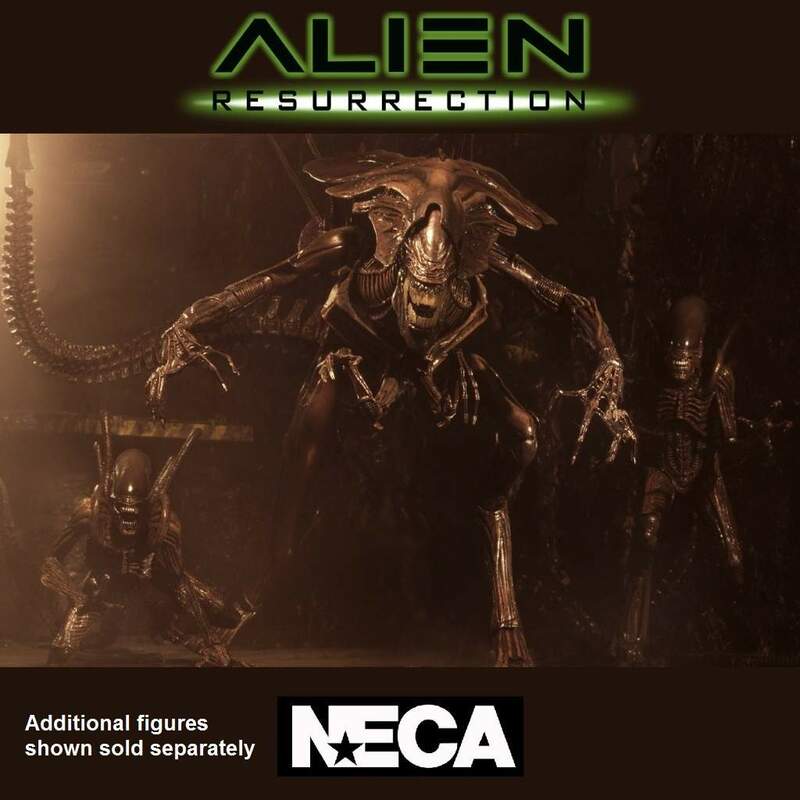 From the 1997 movie Alien: Resurrection, the fourth movie in the thrilling sci-fi series, comes this terrifying Queen, and she's the perfect companion to accompany both Series 14 and Newborn figures. 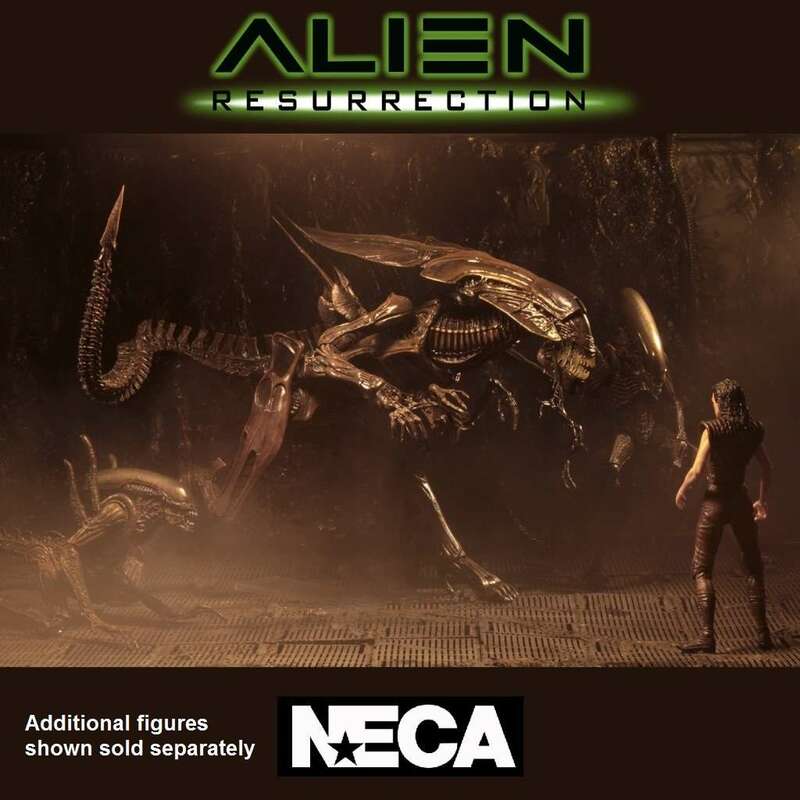 Series 14 features an all new Alien Resurrection Ripley and Alien Warrior, both sold separately. 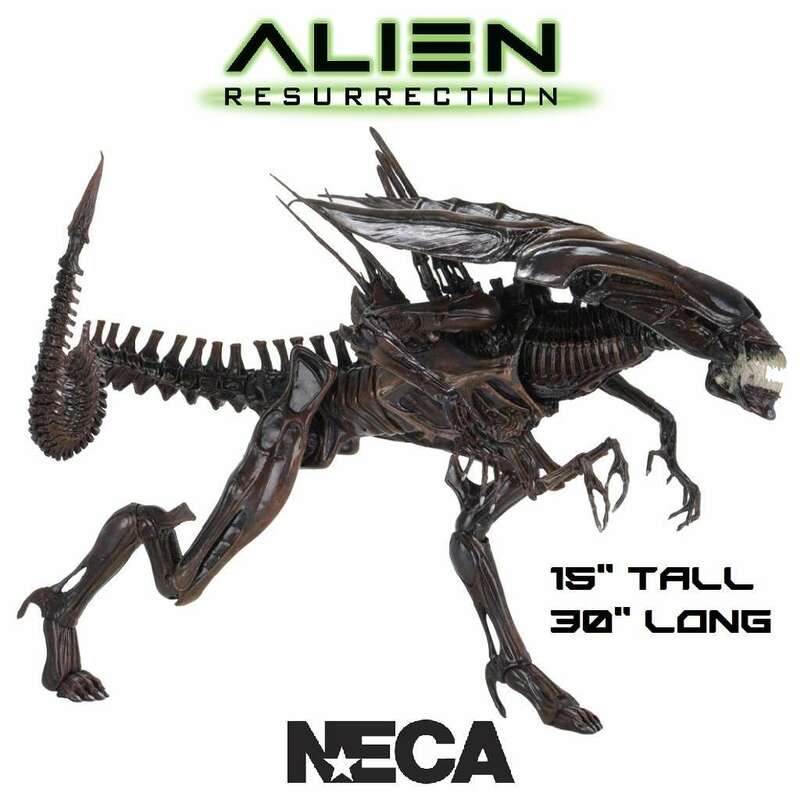 The Alien Queen stands over 15″ tall and is over 30″ long plus she has over 30 points of articulation, which also includes a spectacular posable tail to help you create some great poses so you can bring some of the thrilling scenes from the movie to life plus the Queen is perfectly in scale with NECA's 7" range of Alien action figures. Also included are two different interchangeable inner mouths and a display stand. Another great collectible for fans of the Alien movies.